The Manchester music scene has much to offer. Home of seminal bands like The Smiths and The Stone Roses, and modern-day heroes like Elbow and Badly Drawn Boy, live music is abundant here. Venues vary in size and atmosphere, but all have played host to exciting and legendary acts - The Academy, located on the Manchester University campus, has had everyone from Fatboy Slim to Amy Winehouse. Be better than the rest, Limotek.co.uk can find you a fantastic limo to hire in Manchester so you can impress everyone with a superb Hummer or wow the crowds with a classy Baby Bentley (equipped with Lamborghini doors). Contact Limotek.co.uk for limousine hire in Manchester, we are taking bookings now. 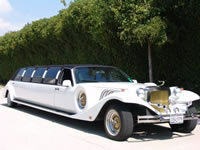 Don’t let your favourite limousine get booked up by someone else! Manchester is a thriving city full of hundreds of young people that love to party every weekend. Over the last few years, limo hire in Manchester has become increasingly popular probably because limousines are constantly being featured on TV in programmes such as Limo Fever. A huge selection of vehicles are available in Manchester including black and white Hummers, black Jeep Expeditions, Porsche Cayennes, Range Rover limos, red Fire Engines and a range of pink limousines (pink Hummers included). Contact Limotek.co.uk today and find that special limousine in Manchester.